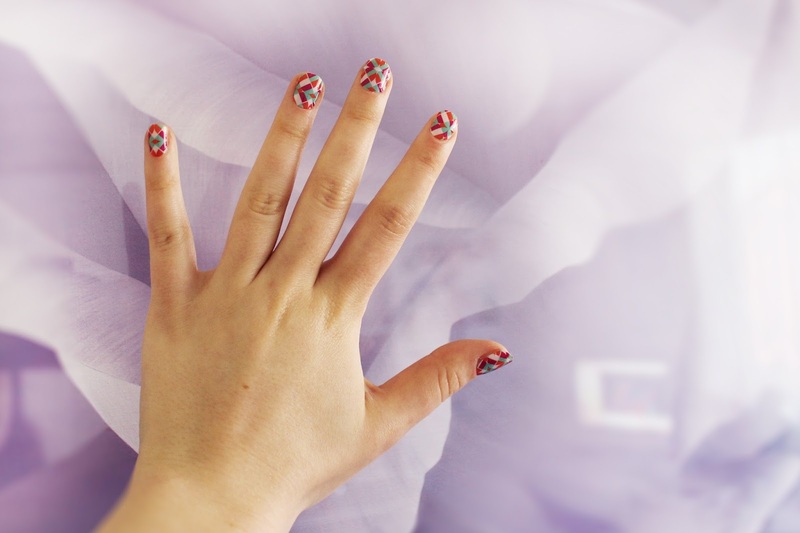 To coincide with their recent Australian launch I was offered the chance to try out Jamberry Nail Wraps*, something I was particularly interested in considering my nail polish obsession. This was my first time trying nail wraps, which are something I had aways been curious to try but had never experimented with. Jamberry Nail Wraps are a great inexpensive alternative to getting your nails done at a salon, there is a huge range of different colours, designs and finishes to choose from - basically there is something everyone will love! These wraps look great as a full set and are also an easy way to add an interesting accent nail to a plain coloured manicure. The set I received features a bright geometric pattern on a white background, great colours for spring and summer. I found the application process a little bit difficult and fiddly at first although I started to get the hang of it after applying a few of the wraps. The biggest issue I had was that the shape of my nails never allowed the wraps to sit completely flat and smooth, my nail bed is slightly curved from the cuticle to the tip and because of this I ended up with creases around the edge of most of my nails. I also found that the curve at each end of the nail wrap were too wide to sit neatly against my cuticles, which also created creases in the nail wrap. Despite my difficulties in applying them the redeeming quality of these nail wraps is the longevity. They did not budge for a whole week before I removed them myself but I could have gotten at least another two or three days wear out of them even though my application wasn't perfect. I am looking forward to giving these another try to see if I can improve my application and I will definitely be checking out some other designs from the range. 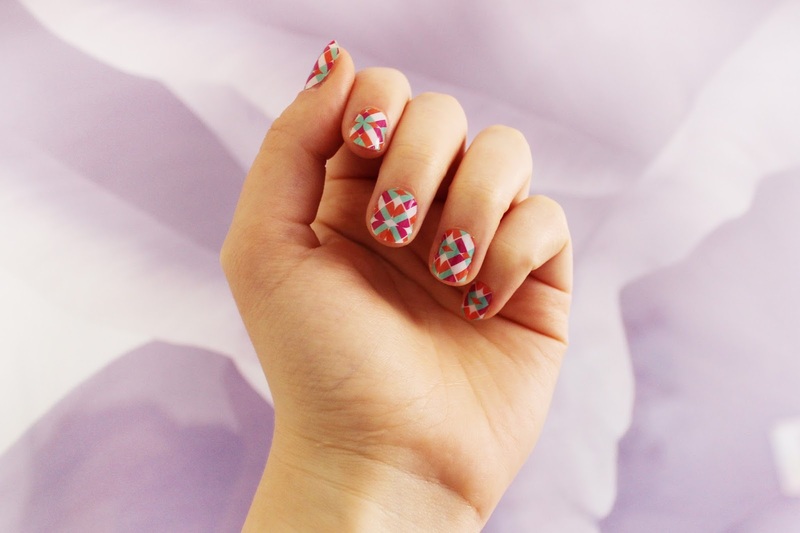 Have you tried nail wraps before? Let me know in the comments!